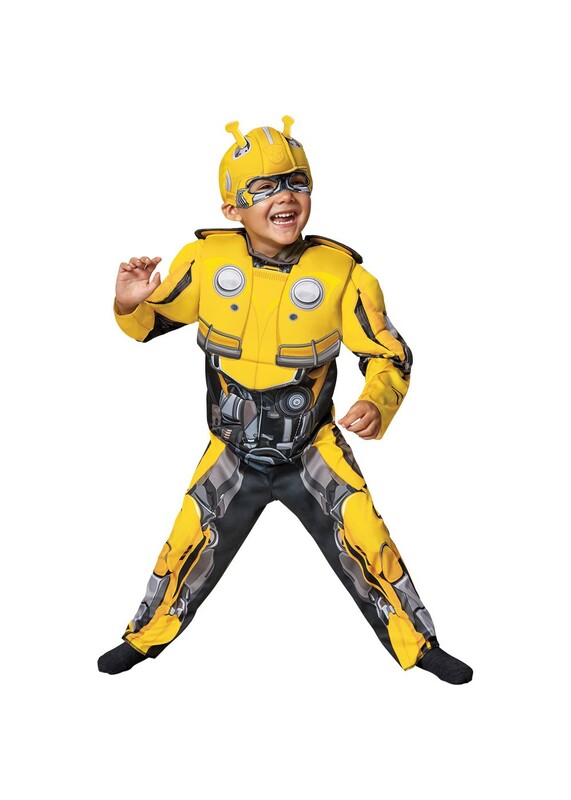 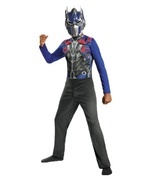 Transformers Bumblebee Toddler Costume> Includes jumpsuit with muscle torso and arms attached 3D back pieces, and soft character headpiece. 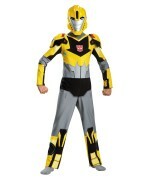 Available in sizes 12-18M and 3T-4T. 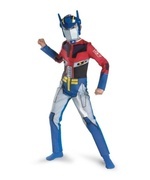 He might not be old enough to drive, but he can dream! 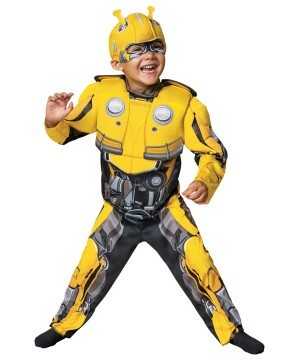 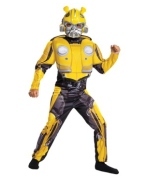 This Transformers Bumblebee costume is for your little one that loves cars and robots. 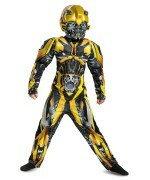 The bright yellow jumpsuit has padded muscles to show just how strong Bumblebee is when he's fighting the Decepticons. 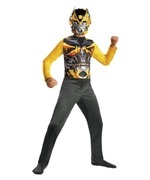 Just add shoes and you're ready burn some rubber! Review(s) for " Transformers Bumblebee Toddler Costume"